Find a spread-out group of highly qualified sales leads by pulling a ready-made engineering directors email list of those with the title of "engineering director." 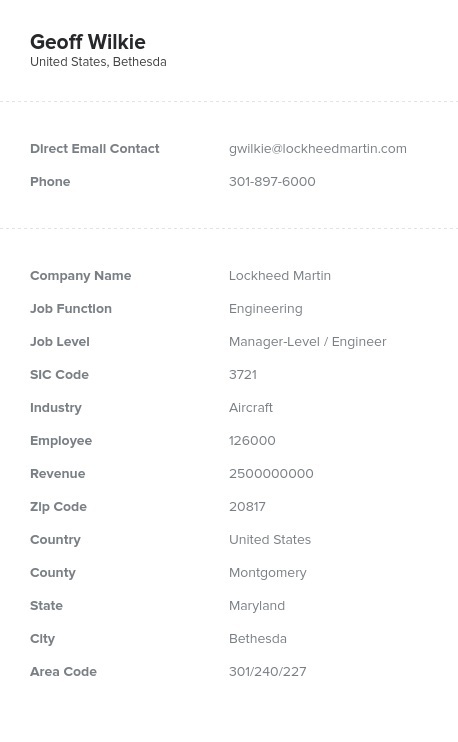 Locate the managing engineer who would be interested in your product or service with this verified engineering management email database. Engineers build the future, and managers build confidence within their teams. Combine the two and you have a powerful group of professionals you need to talk to: directors of engineering. Email lists of engineering managers enable marketers to connect with a very influential and hard-to-reach group of decision-makers who need a variety of tools to help them get the job done. You can flaunt your products and services to those who would be most interested in them. Normally, those hoping to find the engineering elite would be stuck between a rock and a hard place, with no leverage to help them be heard. But buy a director of engineering mailing list today and you'll be able to build real connections with some of the most important people in the industry. This email database of engineering directors is unlike our other engineering email lists in that it pulls people by their job title rather than their function or industry. That means you can get a specific engineering manager email list, not just an engineering one. Get the key contact information of directors of engineering: emails, phone numbers, addresses, fax numbers, and more. Download our engineer management directory and use it as your B2B email list to connect with directors of engineering today.